With the Bears giving up on the season 3 weeks ago, I think it’s unfair to judge Orton after just one start. With that said, he really didn’t look any better. His decision making was decent but his accuracy was horrid. But how accurate do we expect him to be after sitting on the bench for 2 years? Rex got 3 years to show he wasn’t the answer, how long will Orton get? A total of 3 games? Ha! Look for the injured KB to dominate the Bulls after the Bulls failed to get a trade done when he actually wanted to be traded. 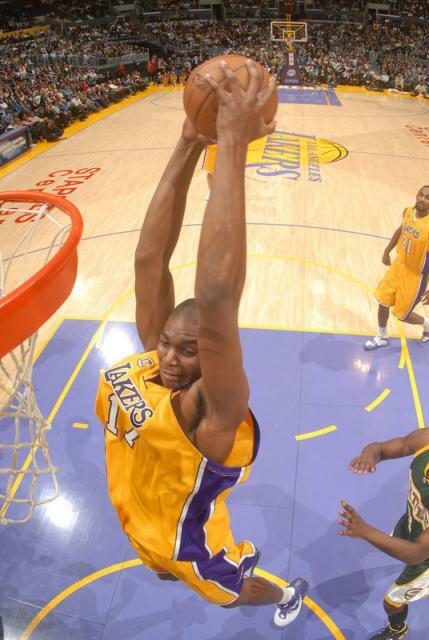 Andrew Bynum will have an easy double-double in the paint against this inside weak Bulls team. I say Lakers by 8 but wait to see if our friend GG is picking this game tonight. He’s the expert! How much longer till the national championship game? Two more weeks…..ridiculous! Atleast we have Utah vs. Navy to look forward to Thursday. Yeah, right! The NFL fined 5 players on the Falcons for uniform infractions in regards to support for Michael Vick. Are you serious? 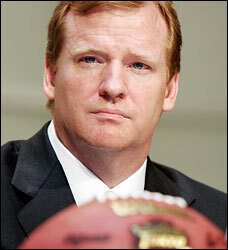 Roger Goodell is showing me more and more that he is an ego maniac. This page contains a single article from December 18, 2007 10:22 AM. The next days article was Home of Greggy G’s FREE ATS PICKS.